A black and white negative of Mr. and Mrs. Powell and their guests standing outside of a church. 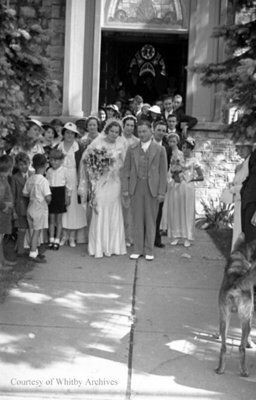 Powell Wedding, c.1935, Marjorie Ruddy. Whitby Archives A2013_040_180A.